THE FINAL BOOK IN THE SERIES! The Last Day, Book 8. Thank you, friends, for reading and sticking with the series. I think you’ll enjoy the finale in pdf and ready for reading! 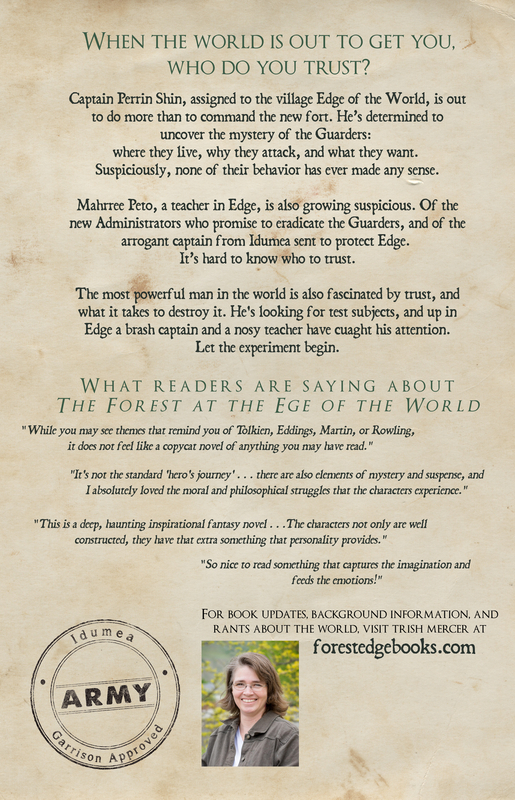 BOOK ONE: The Forest at the Edge of the World, Click Here for the .pdf. 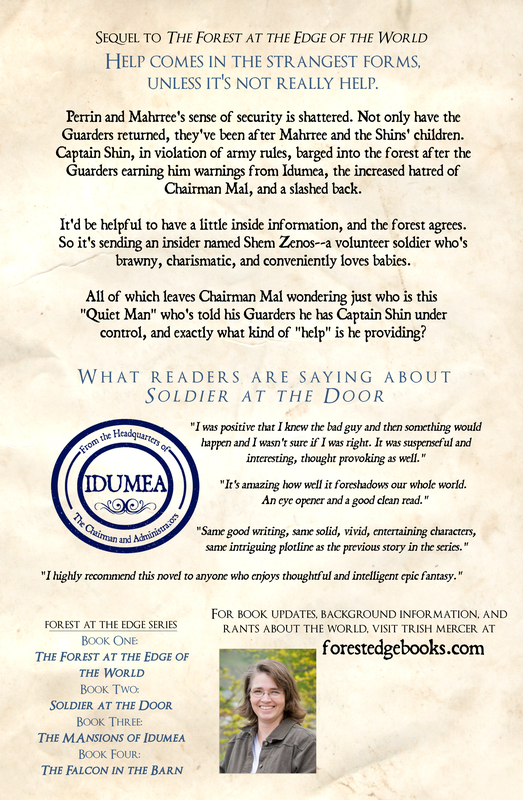 BOOK TWO: Soldier at the Door, CLICK HERE for the .pdf. BOOK THREE: The Mansions of Idumea, CLICK HERE for the .pdf. BOOK FOUR: Falcon in the Barn, CLICK HERE for the .pdf. BOOK FIVE: Safety Assured Leaving East of Medicetti, CLICK HERE for the .pdf. BOOK SIX: Flight of the Wounded Falcon, CLICK HERE for the .pdf. 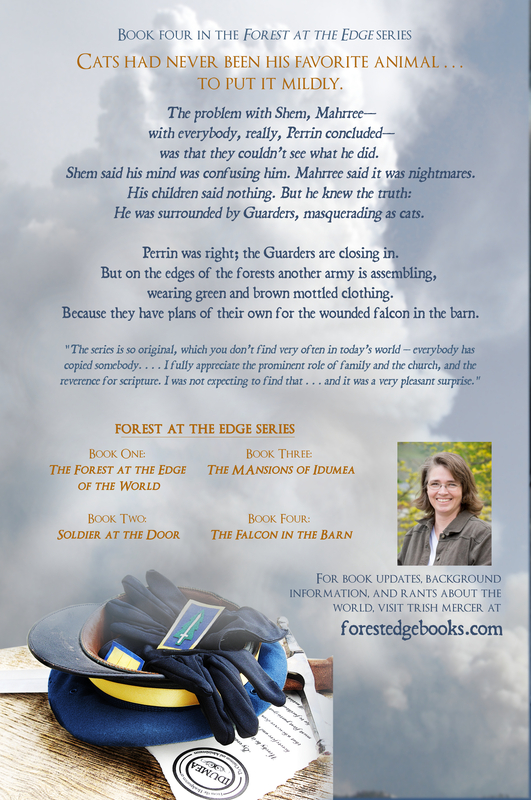 BOOK SEVEN: The Soldier in the Middle of the World, CLICK HERE for the .pdf. BOOK EIGHT: The Last Day, CLICK HERE for the .pdf. *All eight books are also available at Amazon in both Kindle or e-reader format, and paperback. Available as a Kindle format for only $2.99 on Amazon Should be cheaper than this! And here’s the print version of book 1 for $10.95 (and usually cheaper through Amazon). Here’s the Kindle format for $2.99 on Amazon. Should be cheaper, if not free! And here’s the print version of book 2, on Amazon for $12.95! Click here for Kindle version of book 3, only $2.99 (should be cheaper, if not free! ), and click here for the paperback version, $14.95 (but Amazon almost always has a cheaper deal on it). Here’s the Kindle version of book 4, on $2.99 (Should be cheaper, if not free! ), and click here for the paperback version on Amazon for $15.99. Here’s the Kindle version (priced $.99 or less), the Smashwords link (FREE! ), and the paperback version ($13.50). These works are licensed under a Creative Commons Attribution-NonCommercial-NoDerivs 3.0 United States License. This means that you are free to share this work online, or print it for your own use, but you may not change the book in any way through additions, deletions or alterations, or imply you have written any of the text, or anything else of that nature. You may also not profit from this book in any manner. I’m so glad it’s out. I have already started reading it. Thanks for hanging in there–told you it’d be coming soon! I’ve read all 7 that are out. When can we expect Book 8? I’m hoping this summer time, 2018. Beautiful tale of world, and faith and peoples. I loved every book of the series and I hardly wait for the fifth one. When is scheduled to appear? Thank you so much! I’m hoping before next summer, so maybe late spring of 2016? I loved the whole series, when will Falcon In The Barn be complete? Wonderful! I’m hoping by autumn sometime, before Christmas.